I really enjoyed this. Fun to listen to and interesting. I hope for more like this in the future. As usual Stephen Fry brings his unique charm and storytelling skills to this series. I have a great love for Victorian history and this was fun, informative and educational. I have recommended this too so many people. This is Stephen Frey in all his narrative glory. His playful telling of these scintillating stories makes for a very entertaining listen and the facts given to illustrate the truth behind the stories are wonderfully educational! A must-listen to be sure! it exposes Victorian England with it's hypocritical standard of social discourse and ridiculous starched public visage and mores. What a special treat to find out this was free on Audible! 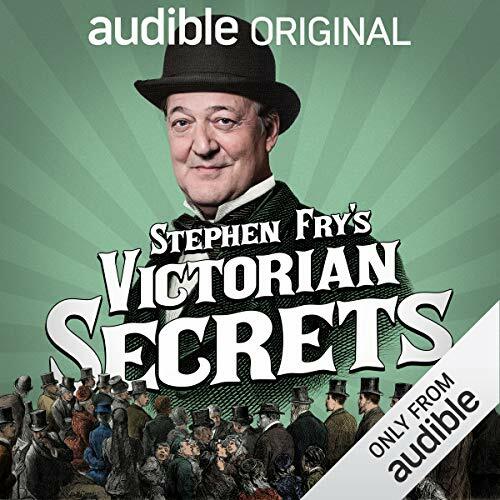 Noone tells a tale as well Stephen Fry, and he certainly delivers, yet again, with these illuminating, educational, and totally juicy accounts of the Victorian era! Stephen Fry, you're a gift to the world! There is a point when one cannot but feel troubled by certain scenes. Fairly good narrative though.